Cirque du Cabaret returned to the London Wonderground Spiegeltent for a third year last week and welcomed a packed house of Pimms-soaked revellers. Champagne Charlie was a highly successful and effervescent host who, after a slightly nervous start, struck the perfect balance between grandiloquent ringmaster and louche mischief-maker. 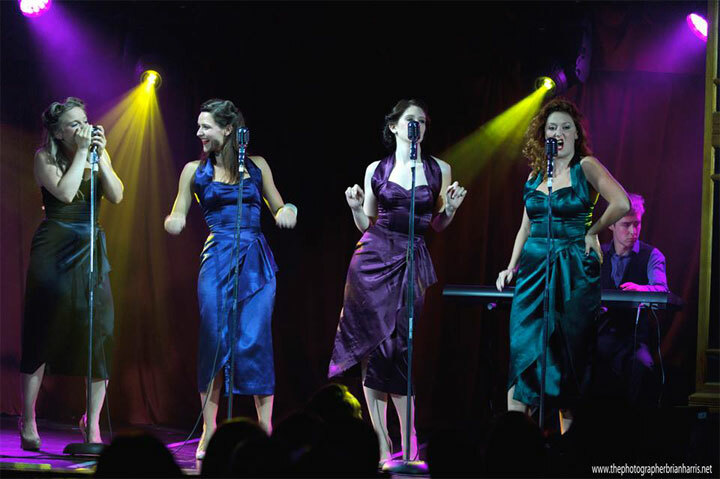 Each half began with a number from Four Femmes on the Thames, and while they are not the tightest close harmony group around, they stand out, earning laughter and applause with unexpected innuendo, profanity, beatboxing, and original songs. Burlesque performer Sophia St. Villier, a tall drink of black lace and copper waves who is the visual epitome of classic elegance, gave an underwhelming performance on this occasion, lacking substance and fluidity. 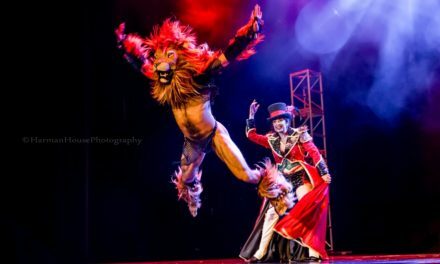 Leah Debrincat and Missy Fatale delivered high drama speciality acts, belly dancing sword play and a sensuous fire display respectively, but both acts lacked a sufficient dramatic arc, which made them visually striking but short of show-stopping. Hand balancer Sammy Dinneen was a gorgeous combination of skill, control and ratpack charm, and world-renowned performance artiste Empress Stah was a suitably impressive surprise grand finale, selling her unique brand of twisted romance in an engrossing aerial display. Cirque du Cabaret offers an enjoyable and varied evening of song, striptease and skill, but the long introductory thank you speech, second half raffle, and hostesses stooping to mop up water with rolls of blue paper towel in an awkward post-Missy Fatale cleanup process didn’t seem appropriate for the twinkling Spiegeltent. 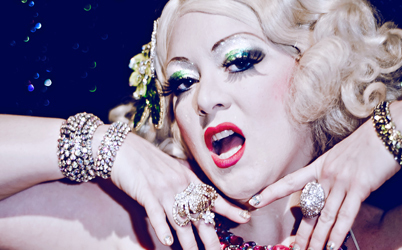 Aside from these occasional dips in sophistication, Cirque du Cabaret continues to earn its place in the London Wonderground calendar. 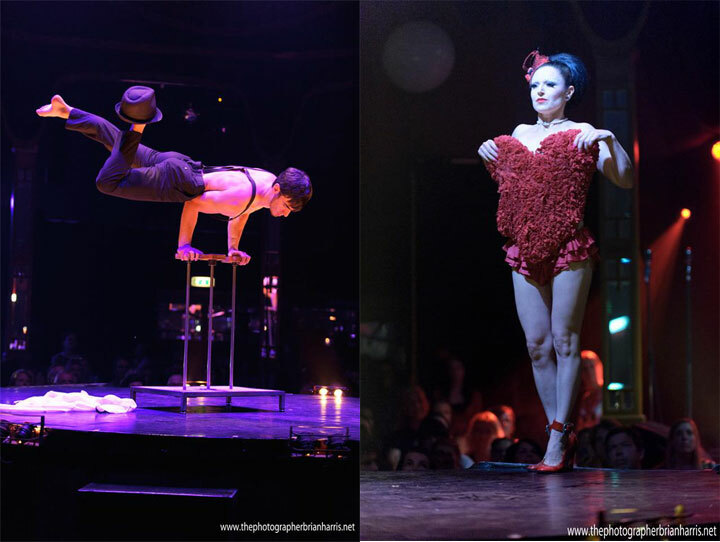 There are new guest artists in each show and you can catch the second London Wonderground performance of Cirque du Cabaret on Friday 8th August. Click here for details.